View More In Waiter Corkscrews - Page 2. Our corkscrews are sourced directly from Pulltap's in Barcelona, Spain so you can be assured you are not purchasing a counterfeit product. 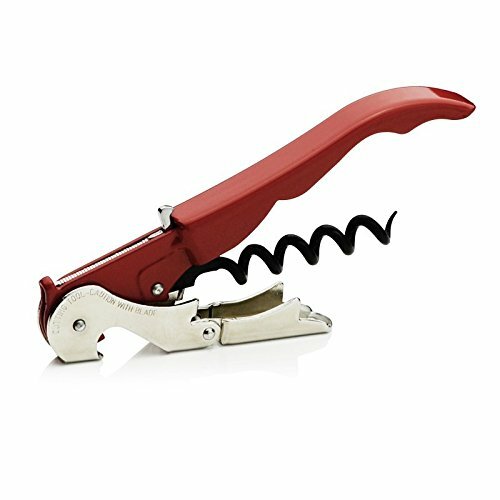 They are genuine Pulltap's corkscrews and guaranteed authentic. Pulltap's is a brand manufactured by Pulltex in Barcelona, Spain. The mechanics of what makes their corkscrews great are the two different lever positions via it's double hinge, the carefully engineered design, and most importantly, the durability and reliability of the product. Other companies make dual lever position corkscrews, but they're usually cheap or break easily. The Pulltap's has a superior polished design. It's strong, heavy in the hand, balanced, easy to use, and the mechanics are carefully engineered (for example, which direction the point of the screw points, the mechanics of the double-hinged lever or the teflon coating). Most importantly, they're fast! Our Pulltap's corkscrews are sourced directly from Pulltap's in Barcelona, Spain and are guaranteed 100% authentic! If you have any questions about this product by Pulltap's, contact us by completing and submitting the form below. If you are looking for a specif part number, please include it with your message.